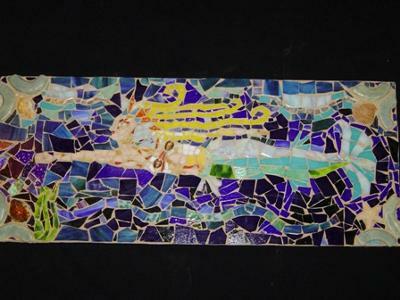 I have been doing mosaics for about 10 years. This one uses stained glass, handmade clay pieces, and seashells. I like ocean themes. It took a long time to do the mermaid's face.